Financing your machine or work tool purchase does not need to be a difficult process. Gregory Poole’s financial programs are very competitive in the industry, and our finance team has the experience to identify the best plan for your situation and guide you through the process. Initial bottom of Page 2 (terms and conditions). Page 3 is a Continuing Guarantee that Gregory Poole will request as needed. 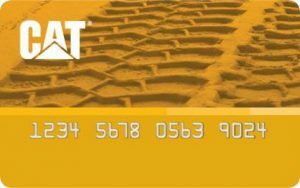 The Cat Card Commercial Account is for the customer who wants a single revolving credit account that can be used nation wide with enrolled Cat® Dealers or Cat Rental Stores in the United States.